The Wanted star Max George is rumoured to have hooked up with former Celebrity Big Brother housemate Jasmine Lennard. The singer was thought to be dating The Only Way Is Essex regular Lucy Mecklenburgh, but apparently met Simon Cowell’s former flame at the Mondrian Hotel in Hollywood last Wednesday. Speaking to The Mirror, his bandmate Tom Parker admitted that he saw them chatting, but couldn’t give too much more away. 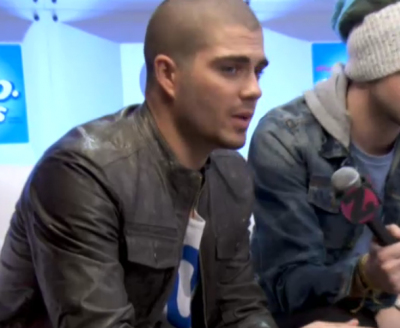 “Max is single now and is having the time of his life. One of the reasons why him and Michelle [Keegan] found it difficult was the fact they were away from each other so much. So I think Max might be scared to get back into a full-time relationship right now, to be honest. I met Lucy once and she was a really nice girl. Wonder what she’ll make of this new report?